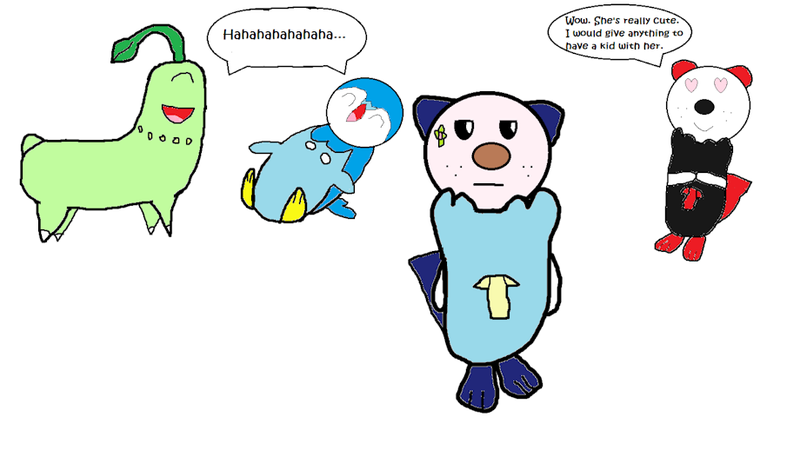 Oshawott's friends, Chikorita and Piplup, decided to put a flower on his head as a little prank. They then laughed about it as Oshawott got humiliated in public. To make things even worse, another Oshawott named Oliver started falling in love with him, thinking that he was a girl.